Almost 40,000 local people have been left languishing on hospital waiting lists in the Southern Trust as new evidence of the spiralling health crisis emerges. 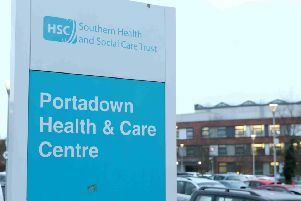 The backlog includes 2,281 patients forced to wait over a year for a first outpatient appointment at local hospitals including South Tyrone and Craigavon. With a total of 62.4 percent of patients waiting more than 9 weeks, the Southern Trust has breached the NHS’s target, which requires that less than 50% of patients should be waiting that long, and no patients should be waiting for more than a year. A further 12,295 patients have been waiting between 18 weeks and a year for outpatient treatment. The total number of Southern Trust patients on the waiting list has increased markedly from 34,185 in March to 37,263 in June. Health Minister Michelle O’Neill admitted the long waiting times were “completely unacceptable” and said that tackling them was high on her agenda. Despite an additional £48m being pumped into the health service in November last year in a bid to tackle the problem, waiting times continue to soar, according to the latest Department of Health statistics. Stormont health committee member Jo-Anne Dobson warned that people were losing their lives because of the “outrageous” and “terrifying” delays in treatment and diagnosis. Ms O’Neill said she recognised that change would take time. She added that she would continue to engage with Executive colleagues to secure the additional investment necessary. A spokesperson for the Southern Health and Social Care Trust said: “We very much regret the increasing waiting times being experienced by our patients. Demand for hospital services across Northern Ireland continues to grow beyond the capacity that is currently available.